Gemini G.E.L. 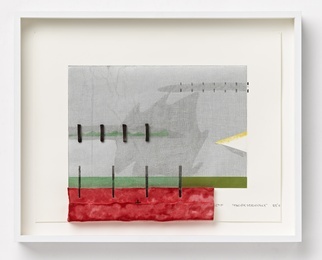 is pleased to present a new edition by Richard Tuttle, Yellow Circle. 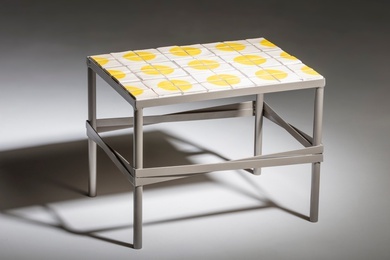 A limited edition of seven, Yellow Circle has the appearance of a utilitarian table with hand-made ceramic tiles and a vapor-coated polished steel base. Gemini G.E.L. is pleased to present a group show highlighting our deep connection with Los Angeles artists and the city’s rich culture, Local: Gemini G.E.L. Collaborations with Los Angeles Artists, on view from February 11th. Please join us for an Open House on Saturday, February 16th from 11 am to 5:30 pm. The Open House will offer a unique opportunity to get a behind the scenes look at Gemini's printmaking facilities. All the doors--those of the galleries and the print shops--will be open and our Master Printers will be working on upcoming editions. Gemini G.E.L. is pleased to announce our participation in Art Basel Miami Beach for the 2018 year. Featuring new and recent editions by John Baldessari, Richard Serra and Richard Tuttle alongside a selection of editions by Vija Celmins, David Hockney, Roy Lichtenstein, Bruce Nauman, Claes Oldenburg, and Analia Saban. Please visit us at Booth B8. Gemini G.E.L. 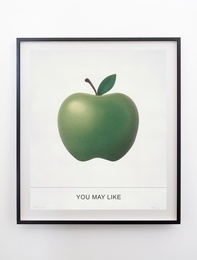 is pleased to present a series of new multi-colored screenprints by John Baldessari. Emoji Series will be on view beginning November 7, 2018. Please join us for a reception Saturday, November 17, 6 - 8 pm. Gemini G.E.L. 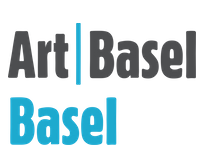 is pleased to announce our participation in the annual Basel art fair in Basel, Switzerland. Click here for a checklist of works that will be on view. Cecily Brown, Julie Mehretu and Elizabeth Peyton were among the three artists honored by the New Museum at their 2018 gala. About the decision, Director Lisa Phillips said “We have to take every opportunity to recognize those courageous women in our field who have made real changes to the landscape... Today the cultural landscape is a remarkably different one. Women have been transforming our sectors as curators, patrons, gallerists, and, of course, artists. But we still have unfinished business and there is plenty of work to do.” The celebration extended over to those gallery owners who represent the three honorees: Paula Cooper, Barbara Gladstone, and Marian Goodman. “They did break a glass ceiling and they are at the very top of our field,” said Phillips. Congratulations to all! 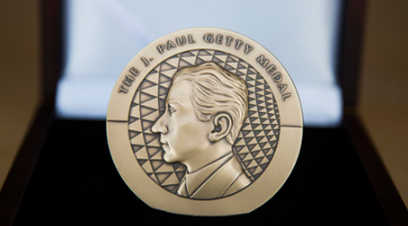 J. Paul Getty Trust Announced today that Richard Serra has been awarded a J. Paul Getty Medal for his contribution to the practice, understanding, and support of the arts. “His monumental works have not only transformed the landscapes in which they are placed,” said James Cuno, president and CEO of the J. Paul Getty Trust, which established the award in 2013, "they also transform our ideas about sculpture itself." The award will be presented to Serra and fellow 2018 winners Thelma Golden, director and chief curator of The Studio Museum in Harlem, and Agnes Gund, who is president emerita of The Museum of Modern Art in New York, at a dinner at the Getty Center in Los Angeles on September 24.
and which documents the conception and installation of Oldenburg’s giant Icebag sculpture. Please join us for the exhibition reception Saturday, April 7, 4 - 7 pm. Bruce Nauman: Disappearing Acts at Schaulager in Basel is the artist's first comprehensive retrospective in 25 years. The show comprises some 170 pieces, representing all phases of Nauman’s work from the mid-1960s to the present day. Through a variety of mutually complementary points of view, the exhibition reveals Nauman’s unique mastery of a steadily expanding spectrum of media including video, drawings, prints, photographs, sculptures, neon and sound pieces, as well as technically demanding installations that quite literally draw viewers in. The exhibition travels to New York in October, where it will be on view through March 19, 2019, at The Museum of Modern Art and MoMA PS1. 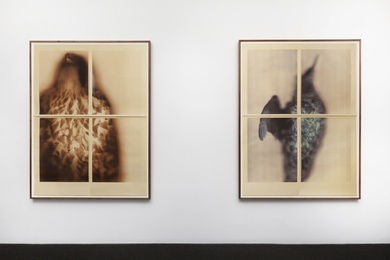 In an unprecedented collaboration between three major London galleries, Tacita Dean's three distinct solo exhibitions explore genres traditionally associated with painting – landscape at the Royal Academy of Arts, portraiture at the National Portrait Gallery and still life at the National Gallery – seen through the contemporary prism of Dean’s wide-ranging artistic practice. 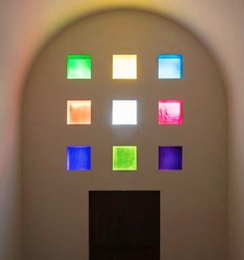 Now part of the Blanton's permanent collection, Ellsworth Kelly's Austin is the artist's last monumental work and only free-standing building. In honor of its unveiling, the exhibition Form Into Spirit "explores how Austin’s conceptual origins began in the seminal period Kelly spent in France (1948—54), when he immersed himself in the country’s artistic traditions and monuments." 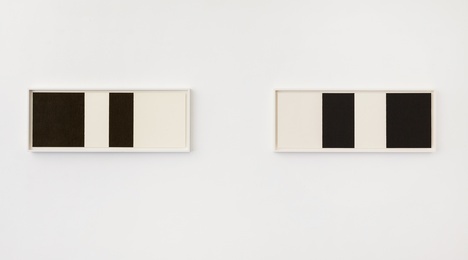 The show includes rarely seen early paintings and drawings and four expansive sections that elucidate Kelly’s rich explorations of Austin’s four main motifs: Spectrum, Black and White, Color Grid, and Totem. Gemini G.E.L. is pleased to announce our participation in the annual Art Basel Miami Beach fair in Miami, Florida. Click here for a checklist of our works on view. Gemini G.E.L. is pleased to announce its second collaboration with Los Angeles-based artist Analia Saban. Where We Start From will feature four different and inventive series utilizing a wide range of techniques. From etching and embossing, to linen wall reliefs filled with paint, Saban’s work disrupts standard printmaking practices and in the process rejuvenates a medium long steeped in technical traditions. Please join us for the opening reception Saturday, November 18, 4 - 7 pm. Gemini G.E.L. 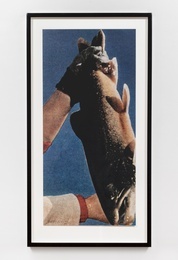 is pleased to present Hands & Feet, a series of eight new screenprints by John Baldessari. The exhibition will be on view beginning September 23. Please join us for a reception for the artist Saturday, September 23, 4 - 7 pm. Gemini G.E.L. 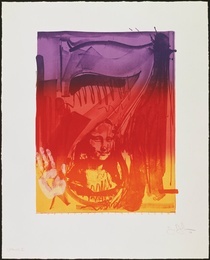 is pleased to present an exhibition of selected works from Robert Rauschenberg's Horsefeathers Thirteen series. On view in the upstairs gallery, Frank Gehry building beginning September 23. Pages, a series of cloth and word collages on book endpapers, was developed in the summer of 2017 during Ann Hamilton’s residency at the American Academy in Rome. 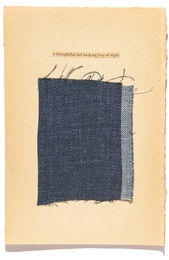 These twenty newly-released unique works make relationships between fragments of silk, wool and cotton – cloth the artist was given while in Rome or acquired during multiple visits to Los Angeles – with words and sentence fragments culled from material retained from her 2009 project at New York’s Solomon R. Guggenheim Museum, human carriage. “Book weights,” conceived for the Guggenheim installation, aggregated cross-sections of multiple books, and the loose lines-remnants of that project became the basis for the found text in these collages. Hamilton originally intended to use fine art paper as the basis for Pages, but found it too precious, so the collages were ultimately created on endpapers from a shelf of second-hand books left by former residents at the American Academy. Pages will be exhibited for the first time at Gemini G.E.L. as part of Ann Hamilton - New Work. Please join us for a reception for the artist on Saturday, August 5 from 5-8 pm. For a full list of available works, click here. Gemini G.E.L. 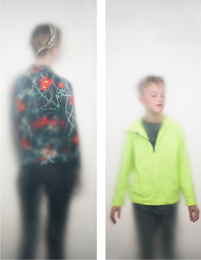 is pleased to present an exhibition of new work by Ann Hamilton. 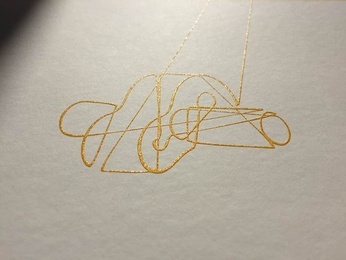 Featuring a series of screenprints alongside blind emboss etchings and a series of unique cloth and word collages on book endpapers. The exhibition is on view now through September 19. Please join us for a reception for the artist Saturday, August 5, 5 - 8 pm. "Conceived as a journey, Missing gathers four of Sophie Calle’s major projects – itinerant since their creation – into a site-responsive presentation across the historic and scenic Fort Mason Center for Arts and Culture's campus on the San Francisco waterfront. 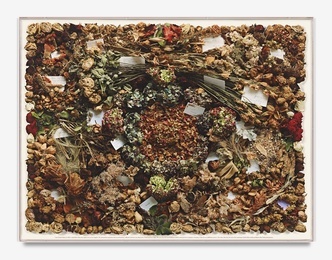 The corpus offers an overview of Calle’s art since the 1980s, and includes her iconic projects spanning the last decade: Take Care of Yourself, Rachel Monique and Voir la mer." On view through August 20! Gemini G.E.L. is pleased to present Blossom, a new edition by Richard Tuttle. Featuring broad black brushwork that spins out from a central point, the piece is counterbalanced with a smooth oscillation of minimal lines, evocative of natural growth patterns common throughout the plant kingdom. Each impression has a unique mark placed by the artist on the top of the burnt sienna middle form. The culmination of observed and imagine plants, Blossom is a poetic abstraction of nature. Gemini G.E.L. 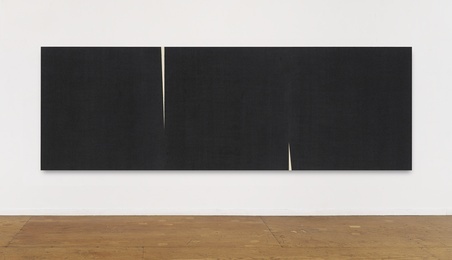 is pleased to present new work by Richard Serra. Horizontal Reversals, a series of ten new Paintstik editions is on view now through June 30. 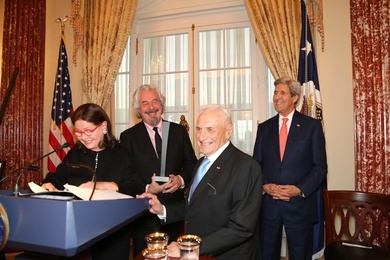 The Getty Research Institute announced today the acquisition of a major archive of the world-renowned architect Frank Gehry. The Frank Gehry Papers cover more than thirty years of his singular career and includes comprehensive material on some of his best-known projects. In an email to the LA Times, Gehry wrote, "It's hard to look at your work and to try to dictate what people will take away from it...for me these models and drawings represent a lot of work; a lot of trial and error; and a lot of my heart and soul, I guess my hope is for people to find some inspiration in all these efforts." Check out the latest issue of Art in Print for reviews of Tacita Dean and Analia Saban's new editions! 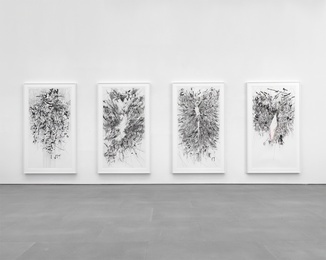 Congratulations to Julie Mehretu on being one of the fourteen newly elected members of the American Academy of Arts and Letters for 2017! 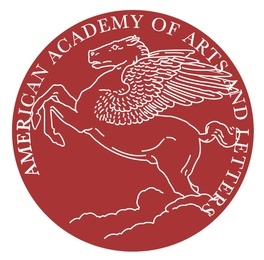 Founded in 1898 as an honor society for the country's leading artists, architects, composers and writers, the Academy seeks to “foster and sustain an interest in Literature, Music, and the Fine Arts." Founding members include William Merritt Chase, Kenyon Cox, Daniel Chester French, Childe Hassam, Henry James, Theodore Roosevelt, Elihu Vedder, and Woodrow Wilson. Now on view through February 24 - Ann Hamilton's O N E E V E R Y O N E, a public art project commissioned by Landmarks for the Dell Medical School at the University of Texas at Austin College of Fine Arts. "Its primary expression is a series of community portraits in which touch—something we feel more than we see—becomes visible. In the images we sense the glance of cloth’s fall, the weight of a hand, the press of a face, the possibility of recognition. More than 500 volunteers at 12 community sites were photographed through semi-transparent membrane that registered in focus only what immediately touched its surface, while rendering more softly the gesture or outline of the body." via the Landmarks press release. Gemini G.E.L. 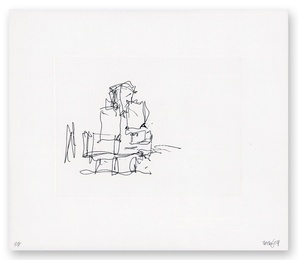 is pleased to present new work by Frank Gehry. The exhibition, on view February 1, features five new one color etchings. We are thrilled to announce that Gemini artist Sophie Calle is among the 2017 recipients of the 33rd annual Infinity Awards, presented by the International Center of Photography. Widely considered the leading honor for excellence in the field, the awards recognize distinguished honorees for their major contributions and emerging talent in the fields of photojournalism, art, fashion photography, and publishing. Congratulations Sophie! This is the last week to see The Serial Impulse at Gemini G.E.L. at the Los Angeles County Museum of Art, on view until January 2, 2017!! 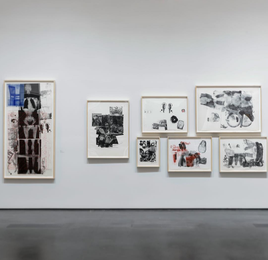 Robert Rauschenberg's Booster, which was the largest hand-pulled print to date in 1967, displayed with the 7 studies is just one of the fifteen astounding, groundbreaking print series included in this not-to-be-missed exhibition. 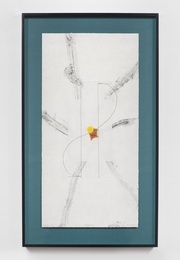 The title for the show - L.A. Exuberance - is taken from Tacita Dean's series of fifteen hand-drawn lithographs, printed and published by Gemini G.E.L.! The exhibition is on view October 30 - April 2, 2017 and also includes gifts from John Baldessari, Larry Bell, Frank Gehry, Ed Ruscha, Analia Saban, and Allen Ruppersburg! Gemini G.E.L. is pleased to present our first exhibition with Analia Saban. 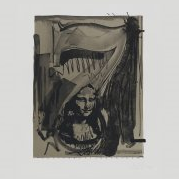 Analia Saban is Broken will be on view from October 22 through December 22, and features three different series—one in etching, in addition to two unique approaches to monotyping. For her presentation at Gemini, the artist has curated the exhibition using multiple copies of the same print. Her selection not only calls into question the traditions of print display, but also emphasizes the inherent nature of repetition within the art of printmaking. 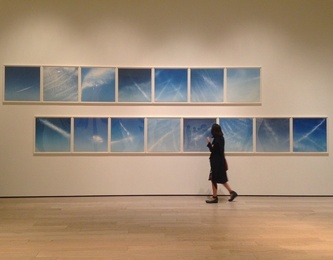 "Tacita Dean has installed her exquisite new suite of 15 hand-drawn, three-color lithographs of wispy white clouds floating in bright blue skies high on the wall in the front room at the print studio Gemini G.E.L. No doubt the reason for the unusual hanging is to orient your view ever-so-slightly upward. 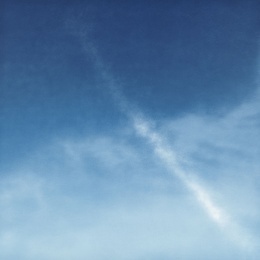 You crane you neck while looking at clouds and condensation trails, the better to day-dream." There's still one week to see LA Exuberance - read Christopher Knight's full review of the exhibition here. Organized in conjunction with the exhibition The Serial Impulse at Gemini G.E.L., Series and Seriality in Prints will explore the centrality of series in the history of prints as well as the varied approaches to serial production adopted by Rembrandt, Picasso, and artists working at Gemini G.E.L. Starting at 1 pm in the Brown Auditorium, Free and open to the public. The Skirball Cultural Center's exhibition Pop for the People: Roy Lichtenstein in L.A. opens this Friday, October 7. 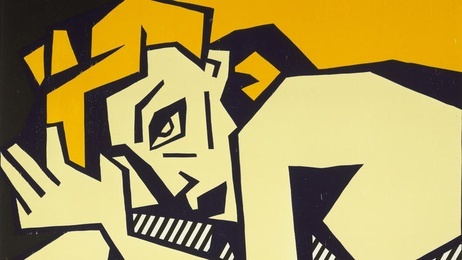 The display includes more than 70 of Roy Lichtenstein’s works over four decades, and features many multiples done by Lichtenstein at Gemini G.E.L. 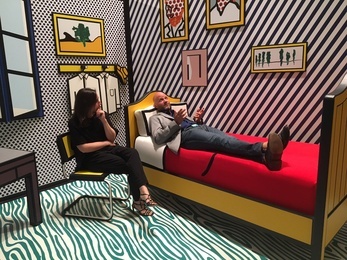 Also on display, a three-dimensional, life-sized re-creation of Lichtenstein’s 1992 “Bedroom at Arles." On view through March 12, 2017! 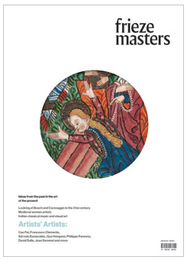 For the most recent issue of Frieze Masters which focuses on "looking at art from the past through the lens of the present," writer Evan Moffitt interviewed co-founder Sidney Felsen on the evolution of Gemini G.E.L. Read the full length piece here. Episode "Utopia and Arcosanti, Gemini G.E.L. 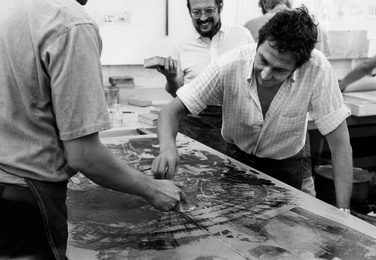 and Mixografia" explores the behind the scenes aspect of collaborative printmaking. Produced by Avishay Artsy. Listen to it here! 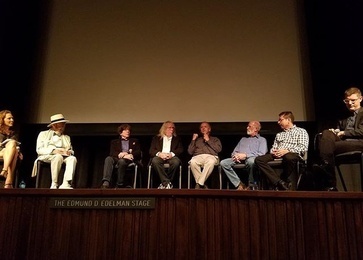 LACMA Panel discussion - UNSUNG HEROES: MASTER PRINTERS OF GEMINI G.E.L. September 12, 2016 | 7 pm. In conjuction with the exhibition The Serial Impulse at Gemini G.E.L., Gemini printers past and present - Jim Webb, Ron McPherson, Tony Zepeda, Richard Kaz, Xavier Fumat, Case Hudson (with a video interview from Jim Reid) - discussed their experiences working with artists such as Jasper Johns, Josef Albers, Jonathan Borofsky, Michael Heizer, John Baldessari, Richard Serra, Susan Rothenberg, Julie Mehretu and Roy Lichtenstein in a panel discussion moderated by LACMA curator Leslie Jones and Gemini co-founder Sidney Felsen. Thanks to everyone who came out to support these "Unsung Heroes!" On view through Janurary 2nd, 2017. Gemini G.E.L. is pleased to present our first exhibition with Tacita Dean. LA Exuberance will be on view from September 6th through October 14th, and will feature fifteen hand-drawn three-color blend lithographs printed and published by Gemini G.E.L. Front and center! 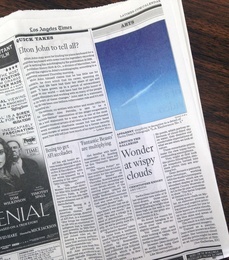 Sunday's issue of the Los Angeles Times featured Gemini G.E.L. as we mark our 50th anniversary with an exhibition at the Los Angeles County Museum of art. Check out the online version of the wonderful article by Deborah Vankin with a bonus behind-the-scenes video (links below) if you missed it in print! The Serial Impulse will open September 11th at the Resnick Pavilion. Co founder Sidney B. Felsen recalls what it was like to work with some of the legendary artists who have walked through the door at Melrose Avenue in this article by the Los Angeles Times. "On working with Robert Rauschenberg: 'The way he loved to work was: He’d have the TV on with soaps, then he’d want you and you and me just to hang around and talk to him while he was working. He’d just talk to you about whatever, but his mind was working on what he was doing and he was making his pieces.'" "In an age of online art appropriation and digital printing, Gemini is a respite of slow art, producing purposefully small, handmade editions sold to collectors, galleries and museums internationally. 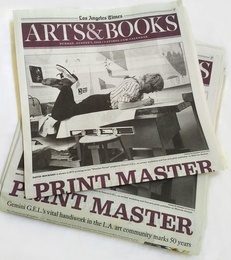 To date it has produced more than 2,000 works on paper and 300 sculptural editions,"
Read the Los Angeles Times feature on Gemini G.E.L. 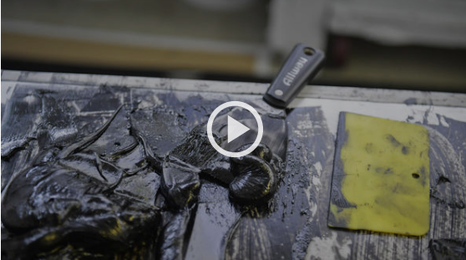 in preparation for the upcoming show at LACMA, and be sure to watch the video for a behind-the-scene look at one of Gemini's workshops! 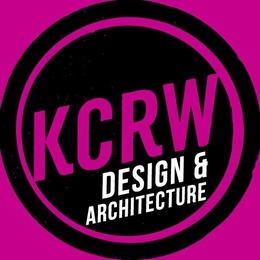 podcast by Donna Granata, featured by Ampersandla. Listen to the voices of Gemini G.E.L. alongside the sounds of the workshop in this wonderful podcast by Donna Granata. "An easy decision" says Gemini co-founder Sidney Felsen. "The Serial Impulse at Gemini G.E.L." opens at LACMA on September 11th. 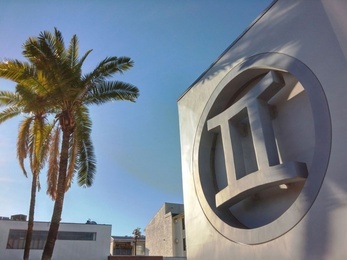 Click here to download LACMA's press release. We are deeply saddened by loss of Gemini G.E.L. co-founder, Elyse Grinstein. Architect, mother, grandmother, patron of the arts, "she was a true humanist who was always exploring new ideas in her work and giving other artists a safe harbor to do the same in theirs," Frank Gehry remarked. Our thoughts, love, and prayers go out to Grinstein family. Gemini G.E.L. is pleased to announce our participation in the annual Art Basel fair in Basel, Switzerland. Visit us at Booth E5, Hall 2.0. 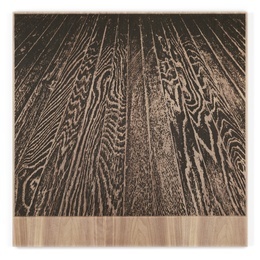 Featuring new and upcoming editions by John Baldessari, Tacita Dean, Ed Ruscha, Analia Saban, and Richard Serra. We're featured in this week's issue of the Los Angeles Business Journal! Pictured on the inside cover is curator Courtney Azzara working on a large Richard Serra print. 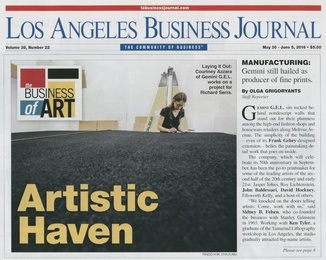 Pick up a copy to check out the spread or subscribe for a digital version at www.labusinessjournal.com! Gemini G.E.L. 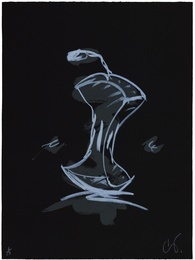 is pleased to announce our first collaboration with artist ANALIA SABAN! Los Angeles artist Analia Saban’s dynamic and compelling investigation of materials tests the limits of painting, sculpture, and printmaking in new and enterprising ways. Since mid-2015, Saban has been working at Gemini G.E.L. making etchings and monotypes. 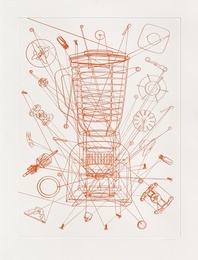 One body of work takes domestic machines as its inspiration, deconstructing and examining the various internal parts. Another series digs into the process of printmaking by challenging the physical properties of ink on paper, exploring the boundaries between the handmade and the machine-made. 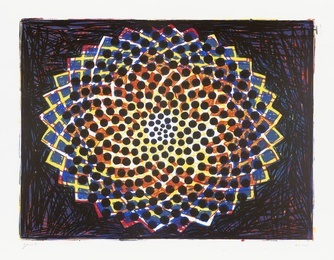 Born in Argentina and living in Los Angeles, Saban is currently an Artist in Residence at the Getty Research Institute. In addition to her first exhibition at Gemini G.E.L. this fall, Saban’s work will be the subject of a solo exhibition at the Blaffer Art Museum at the University of Houston, Texas. Other recent exhibitions include Prospect.3 New Orleans, Contemporary Arts Center, New Orleans and An Appetite for Painting, National Museum of Norway, Oslo. 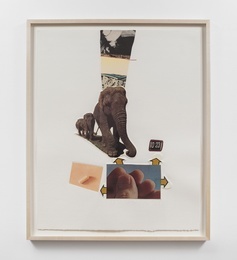 Recipient of the Norton Museum’s 2012 "Rudin Prize For Emerging Photographers,” Saban also participated in the Hammer Museum’s Made in LA group exhibition in 2012. Her work is in the collections of the Hessel Museum of Art at Bard College; the Hammer Museum at UCLA in Los Angeles; Museum of Contemporary Art, Los Angeles; Norton Museum of Art in West Palm Beach, Florida; Centre Georges Pompidou in Paris; and Los Angeles County Museum of Art. 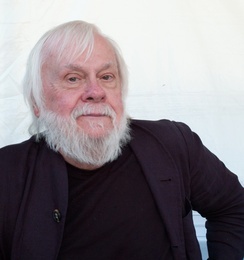 The International Print Center of New York's 10th Annual Spring Benefit this year will honor artist John Baldessari, alongside publisher Brooke Alexander and Anne Coffin, founding director of IPCNY. Located in Chelsea, IPCNY was established in September 2000 as the first and only non-profit institution devoted solely to the exhibition and understanding of fine art prints. 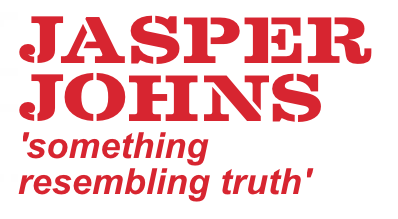 Congratulations John! Gemini G.E.L. 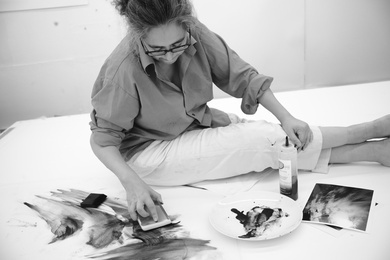 is pleased to announce our first collaboration with British artist Tacita Dean! 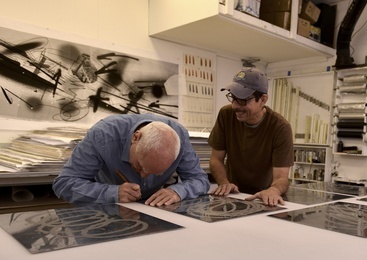 Mark your calendars: the series of lithographs which Dean has been developing at Gemini G.E.L., titled LA Exuberance, will be exhibited in September 2016 at Gemini and at the Museo Rufino Tamayo in Mexico City in November 2016. 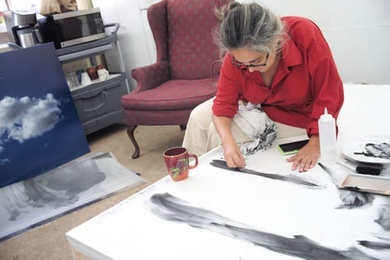 From October 2014 through June 2015, Dean was the Getty Research Institute Artist in Residence, which brought her to Los Angeles and helped advance her relationship with Gemini. Highly regarded, Dean has been the recipient of several prizes including the Hugo Boss Prize (2006) and the Kurt Schwitters Prize (2009). She participated in the Venice Biennale (2003, 2005 and 2013) and dOCUMENTA 13 (2012). 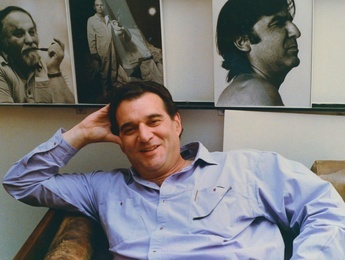 Recent solo exhibitions include Fundación Botín, Santander (2013); Instituto Moreira Salles, Rio de Janeiro (2013); New Museum of Contemporary Art, New York (2012); MUMOK, Vienna (2011); and Tate Modern Turbine Hall (2011). 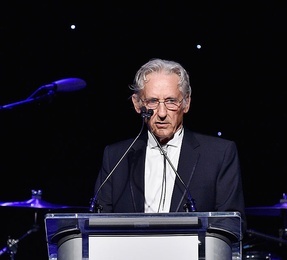 Renowned artist Ed Ruscha was honored tonight at this year's star-studded MOCA Gala, co-chaired by Trustees Lilly Tartikoff Karatz and Maurice Marciano. The art-world came out in full force to celebrate the Los Angeles-based artist whose work spans all media from photography to drawing. Gemini G.E.L. 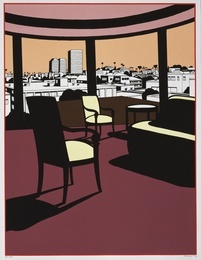 is proud to have had the privilege of collaborating with Ruscha on numerous printed editions over the last four decades. Congratulations Ed! In conjunction with the prestigious Skowhegan School of Painting & Sculpture's 70th Anniversary Celebration, Mehretu has been selected as the recipient of the 2016 Medal of Painting. Skowhegan notes: "Celebrated internationally for large-scale, gestural paintings, the Ethiopian-born artist addresses both the formal concerns of color and line and the social concerns of power, history, globalism, and personal narrative. 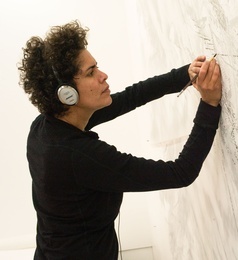 A MacArthur Fellowship recipient, Mehretu is an advocate for LGBT rights, Ethiopian culture and films, and a founding member of Denniston Hill, an artist residency in the southern Catskills." Congratulations Julie! A big congratulations to Larry Bell, who recieved the 2016 Lifetime Acheivement Award this past weekend at the Palm Springs Art Fair. 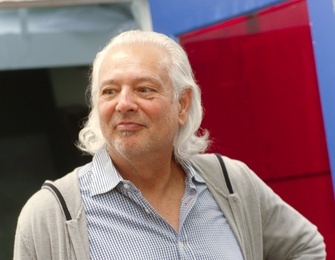 Larry Bell, 76, is a pioneering American artist and sculptor, associated with the now famous LA 1960s “Cool School” of art. He lives and works in Taos, NM, and has a studio in Venice, CA. He is a grant recipient from, among others, the National Endowment for the Arts and the Guggenheim Foundation. His artworks are found in the collections of many major cultural institutions, and his work has been shown at museums and in public spaces in the US and abroad over the course of his 40-year career. 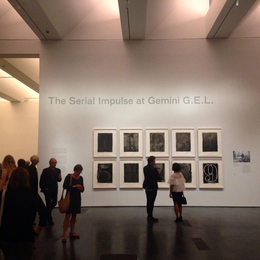 There's still time to see The Serial Impulse at Gemini G.E.L., on view at the National Gallery of Art in Washington D.C. until Feburary 7, 2016. The exhibition showcases 17 series created at Gemini by 17 artists over the past five decades. It includes seminal early works by artists such as Roy Lichtenstein, Robert Rauschenberg, and Frank Stella as well as more recent serial projects by John Baldessari, Julie Mehretu, Richard Serra, and others. We are pleased to announce the newly designed Gemini G.E.L. website! After months of development and a site that has been live for many weeks, it is finally ready for an official unveiling. The site is tailored to the needs of the user with large, quality images of available works and exhibitions. Prominently featured are photographs of the artists at work culled from the archive of Gemini co-founder Sidney Felsen, as well as access to our 50 year history and the National Gallery Catalogue Raisonné. at Art basel Miami Beach! Gemini G.E.L. 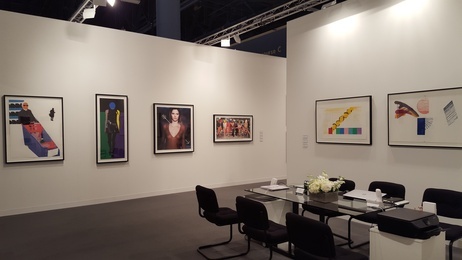 | Art Basel Miami Beach 2015 from Gemini G.E.L. on Vimeo. 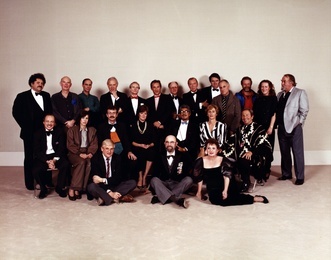 50 Years of Artists at Gemini G.E.L. Gemini G.E.L. is pleased to present the linked video of Gemini cofounder and codirector Sidney Felsen in conversation with Lauren Schell Dickens, curatorial consultant, department of modern prints and drawings, National Gallery of Art. 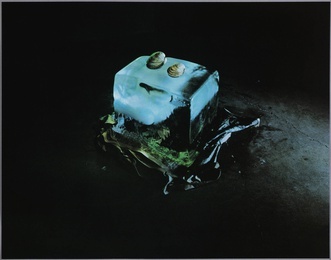 We are pleased to announce the National Gallery's upcoming exhibition The Serial Impulse at Gemini G.E.L.. Coinsiding with Gemini's 50th anniversary, this exhibition will showcase 17 innovative and exemplary serial projects (127 individual works) created by the following artists at Gemini G.E.L. : John Baldessari, Vija Celmins, Michael Heizer, David Hockney, Jasper Johns, Ellsworth Kelly, Roy Lichtenstein, Julie Mehretu, Bruce Nauman, Claes Oldenburg, Ken Price, Robert Rauschenberg, James Rosenquist, Susan Rothenberg, Ed Ruscha, Richard Serra, and Frank Stella. All works in the exhibition are drawn from the Gemini G.E.L. Archive at the National Gallery of Art, which contains an example of nearly every edition published by Gemini. 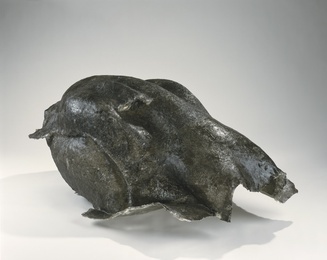 We are honored to have included in LACMA's Frank Gehry exhibition his Untitled fiberglass sculpture, published in collaboration with Gemini in 2001. 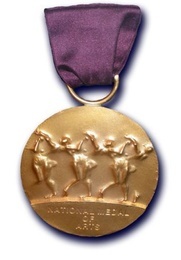 We are thrilled to announce that Gemini artists John Baldessari and Ann Hamilton are among the 2014 recipients of the National Medal of Arts Awards, presented by President Obama on Thursday, September 10, 2015. It is such a priviledge to work with these two brilliant artists. Congratulations John and Ann! Gemini G.E.L. 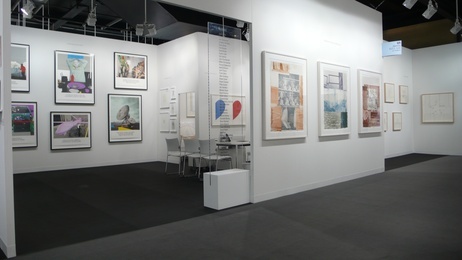 is pleased to announce our participation in the annual Art | Basel fair in Basel, Switzerland. Please click the link below for a list of our works on view. 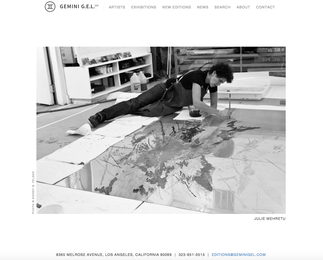 Check out a soulful editorial from Artsy on Richard Serra's newest collaboration with Gemini G.E.L. 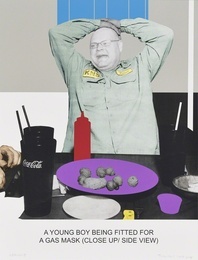 Check out Bridget Gleeson's editorial for Artsy on John Baldessari's newest collaboration with Gemini G.E.L. Gemini G.E.L. is honored to have our new edition by Julie Mehretu Myriads: Only By Dark, featured in Carlier-Gebauer's fall exhibition, Half a Shadow. Gemini G.E.L. 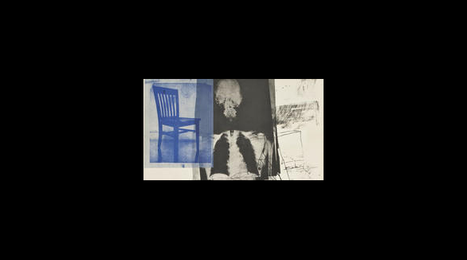 is thrilled to have several works included in Bowdoin College's Richard Tuttle Print Retrospective. 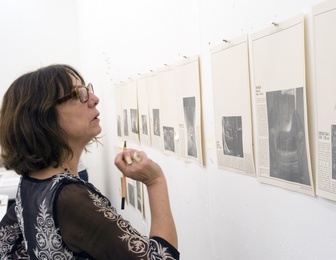 Please follow the link below for more information on this comprehensive exploration of Tuttle's printmaking practice. We are very honored by Artnet's selection of Gemini G.E.L. as one of Art Basel's 25 best booths! Gemini G.E.L. is pleased to announce our participation in Art | 45 | Basel Thursday, June 19 through Sunday, June 22. In conjunction with his recent publication at Gemini G.E.L., we are pleased to present a short film of Allen Ruppersberg playing his monumental work, Great Speckled Bird, through a vintage player piano. These concurrent exhibitions showcase Serra's monumental site-specific sculptures along with an ambitious survey of sculptures and drawings. 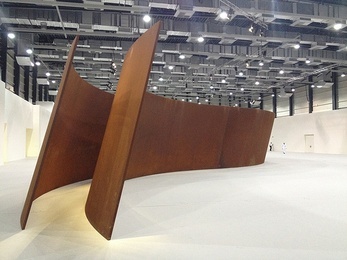 RICHARD SERRA at GEMINI G.E.L. 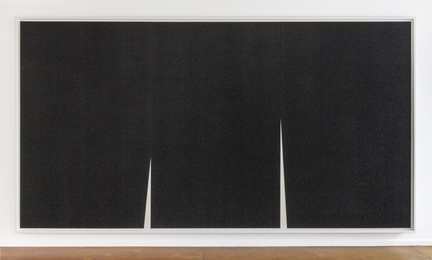 The Gemini team enjoyed an exciting week with Richard Serra in town for the opening of his new drawings at Gagosian Gallery. He spent a lot of time at Gemini signing prints and starting new ones. Here is a photo re-cap of his visit. The exhibition's opening panel discussion featured exhibition curator Jay Belloli, Gemini G.E.L. Co-founder and Co-director Sidney B. Felsen and Gemini Master Printer James Reid. Please click below to watch the discussion. Gemini G.E.L. 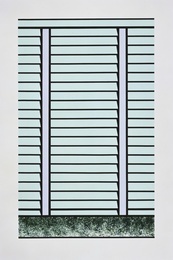 is pleased to present Joel Shapiro: Up Down Around, on view through February 22, 2013. 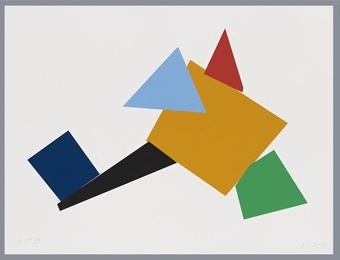 Following his first collaboration with Gemini in 2009, the artist has created a series of five colorful prints that move between figuration and abstraction. 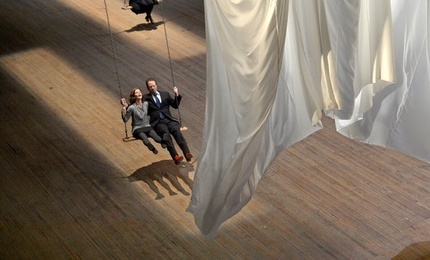 the event of a thread at the Park Avenue Armory (New York) has received wonderful praise. Please read the New York Times' review of the installation here. Click through to view a video interview about the installation. The quiet before the storm. 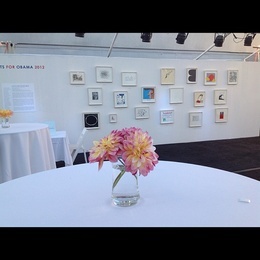 The Artists for Obama reception starts in 28 minutes.